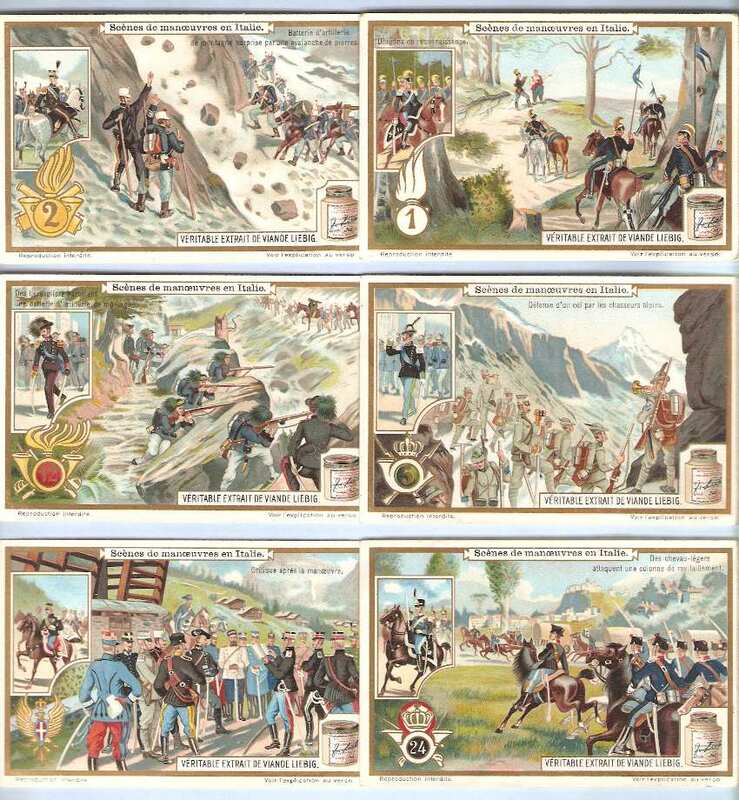 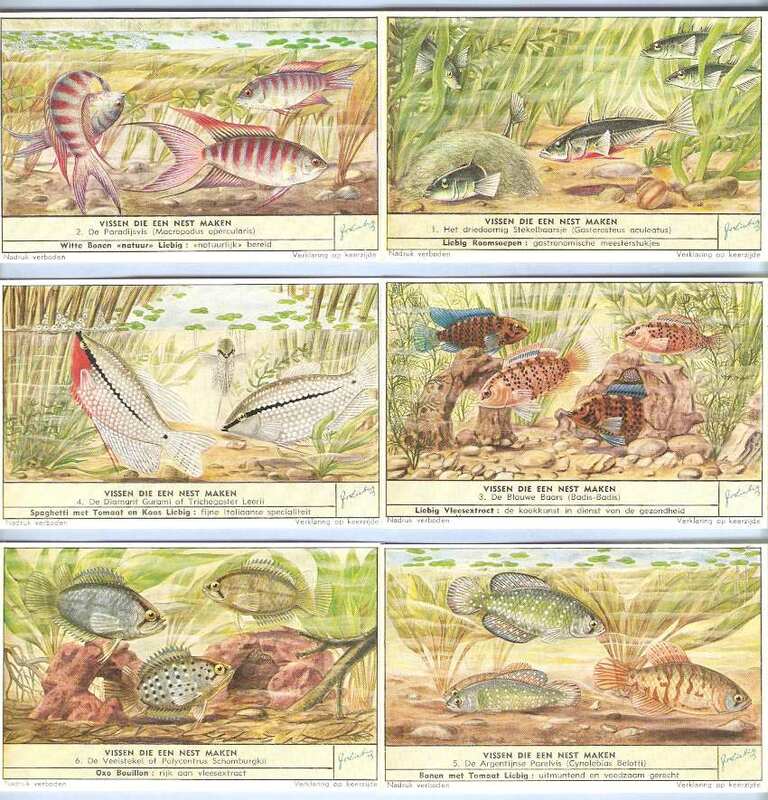 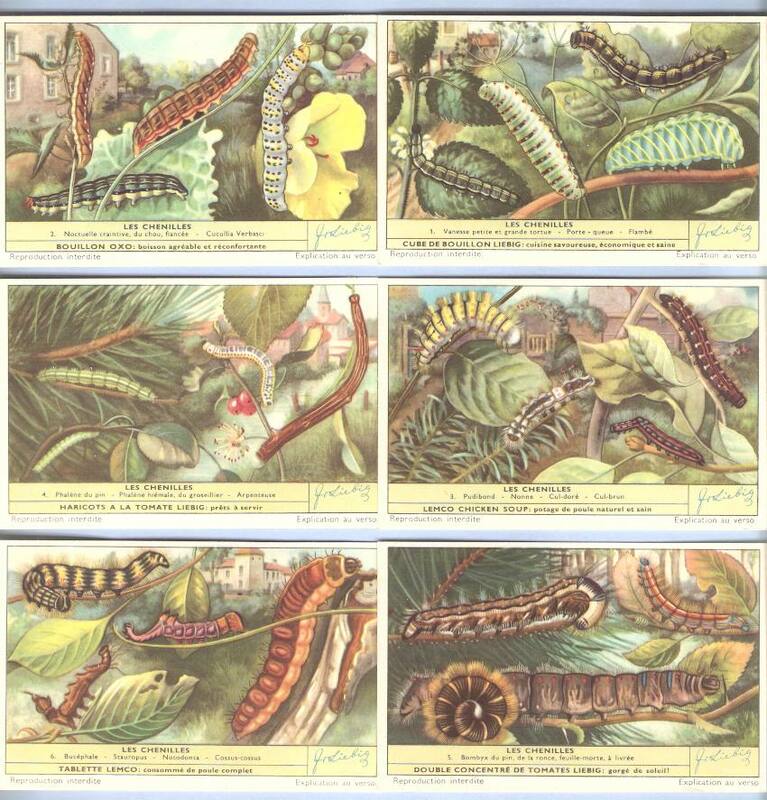 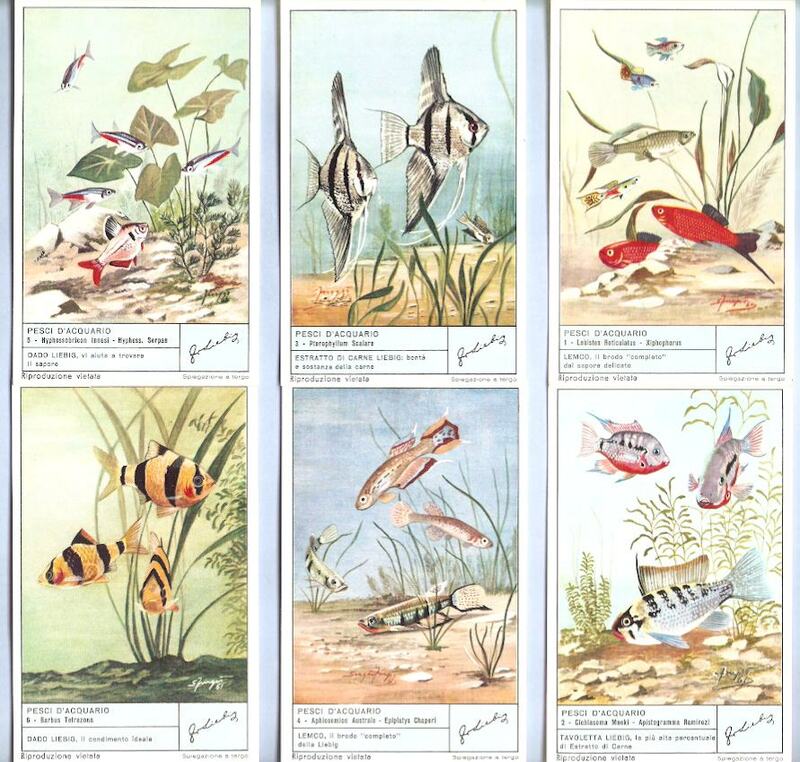 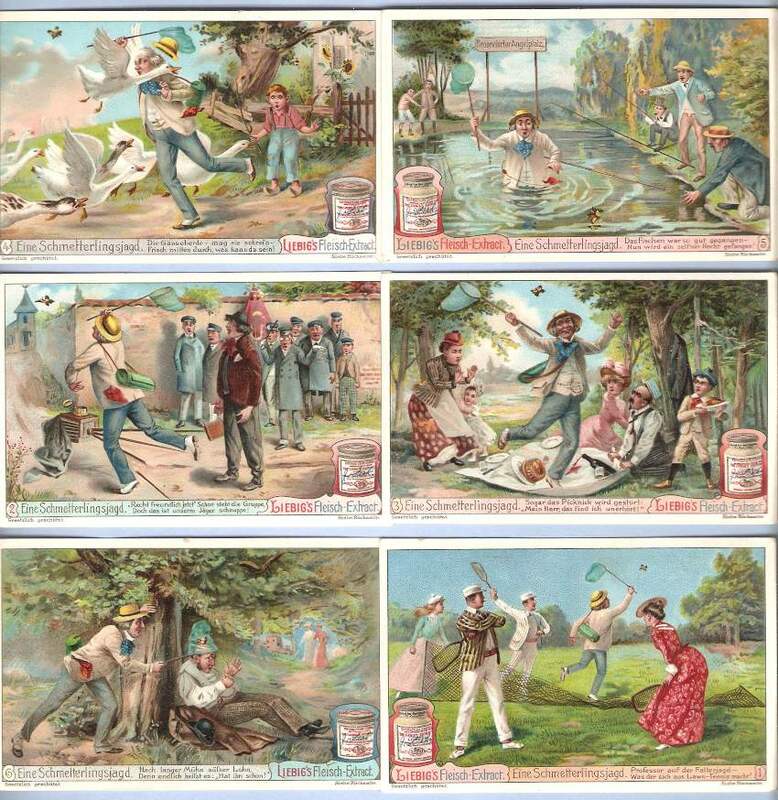 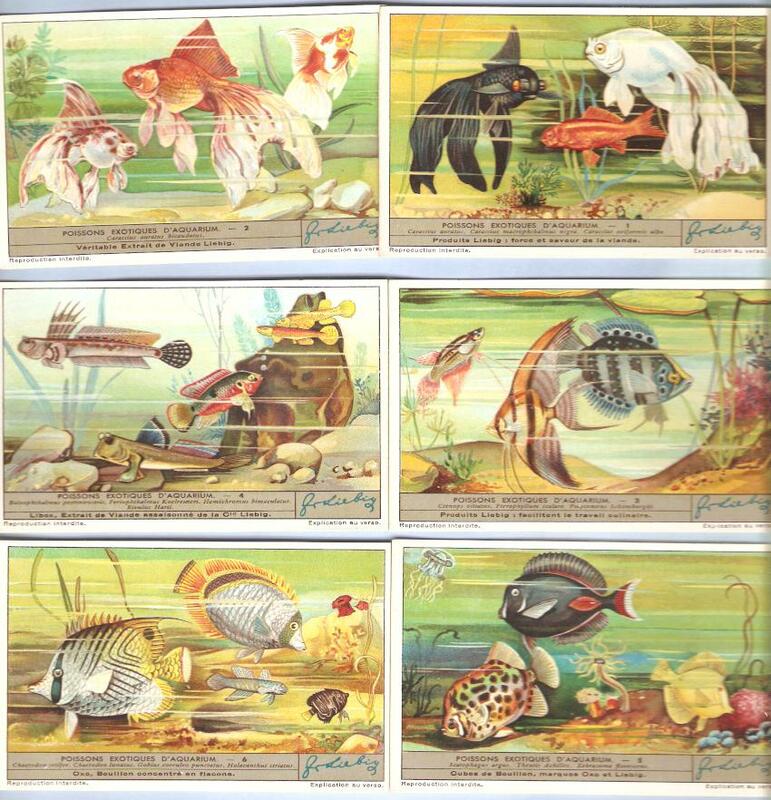 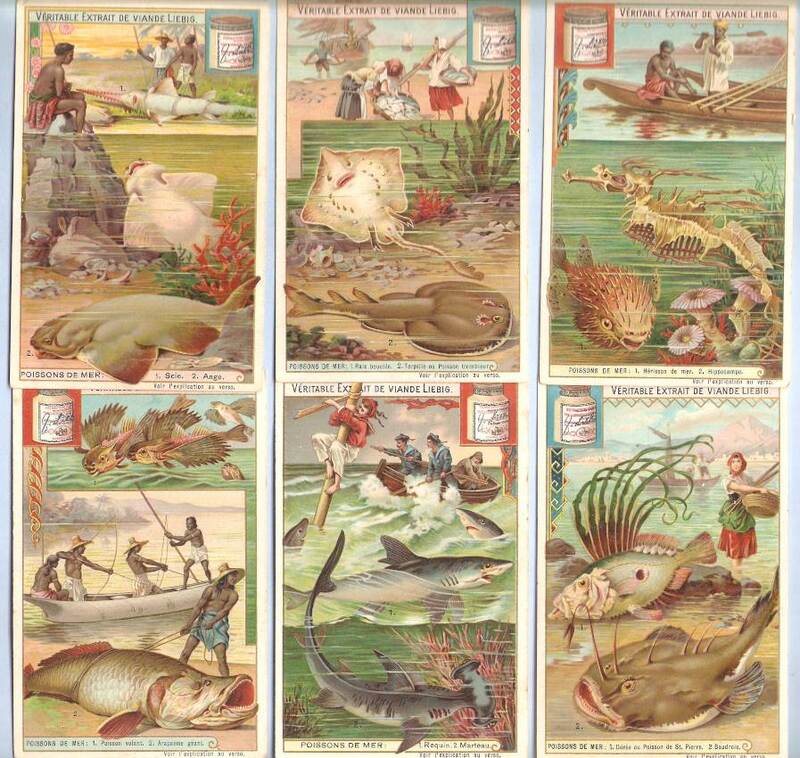 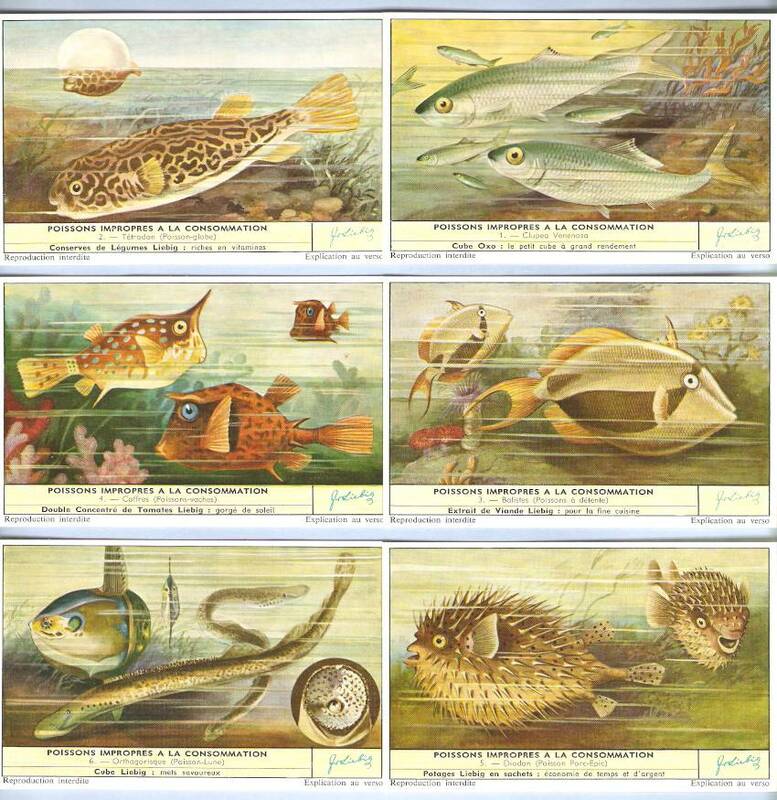 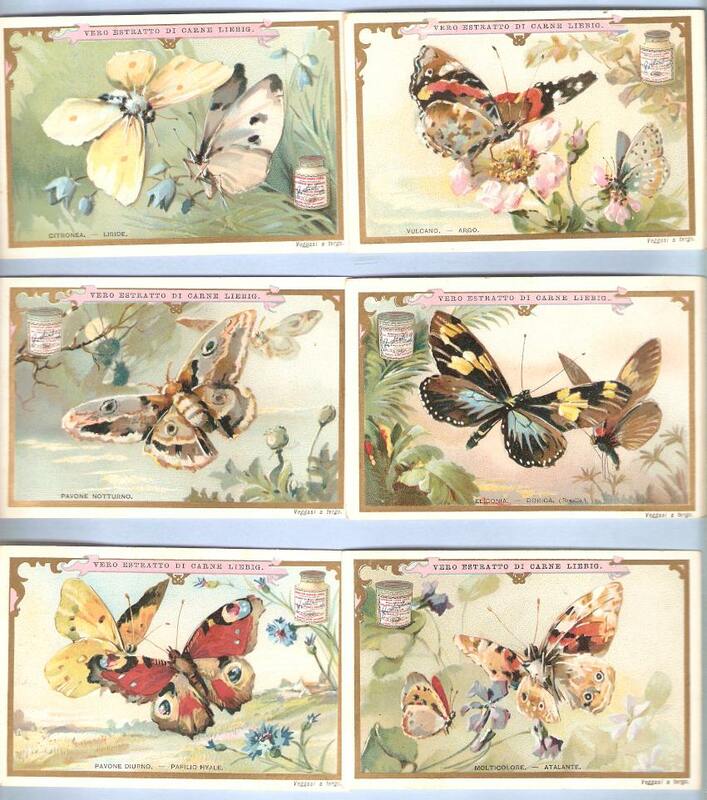 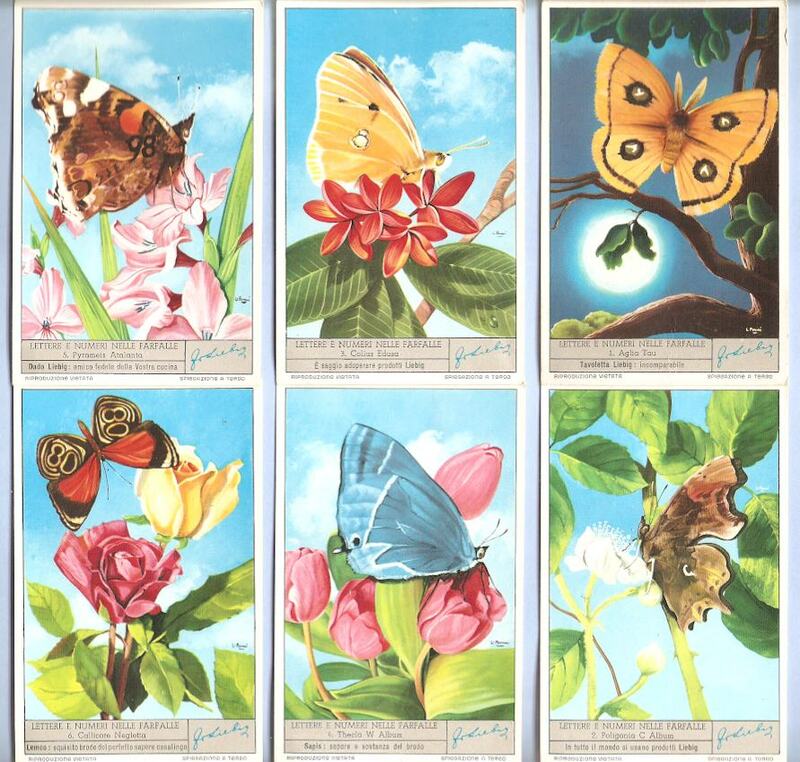 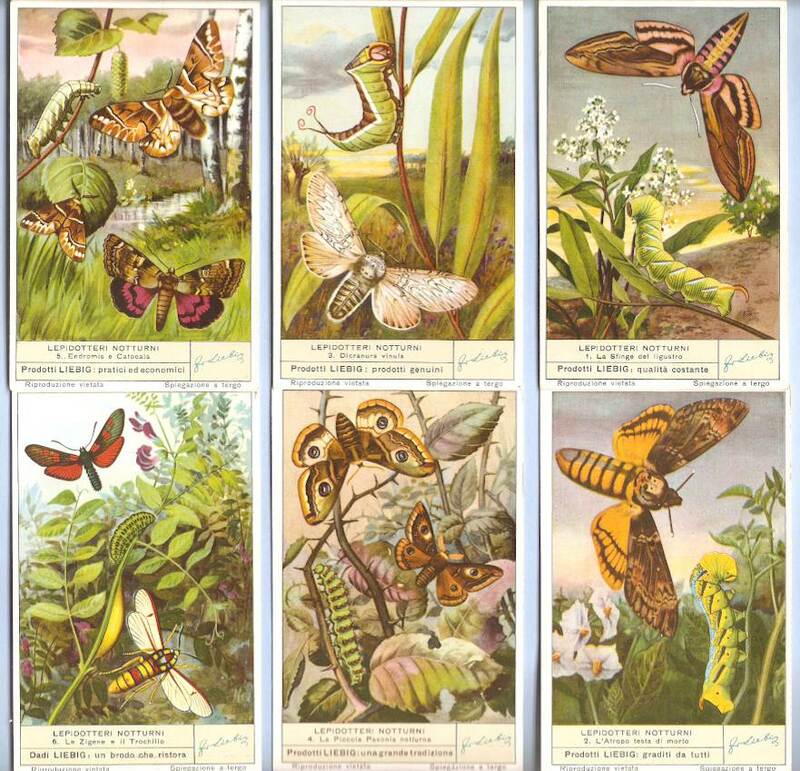 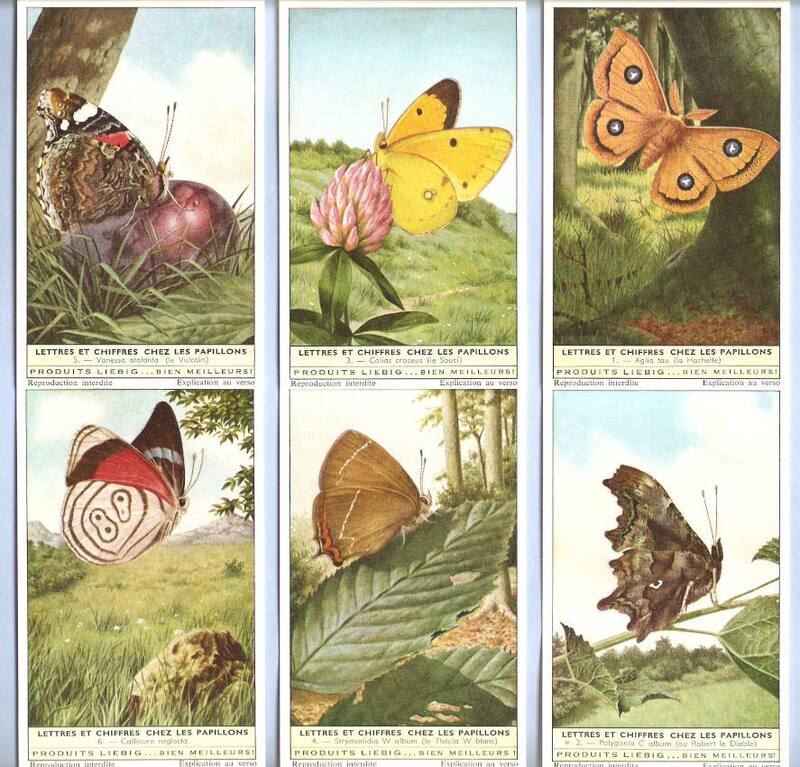 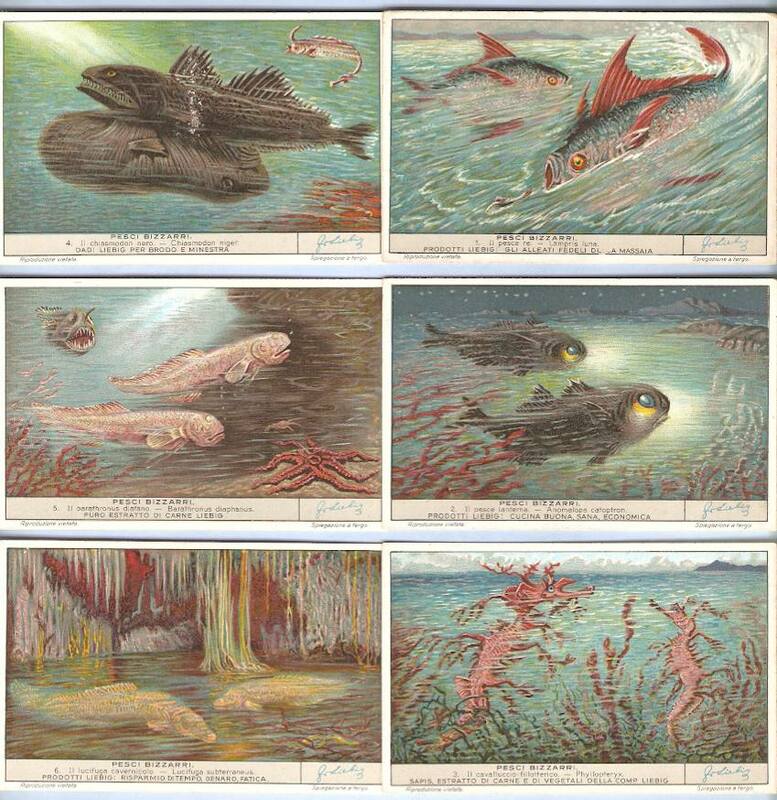 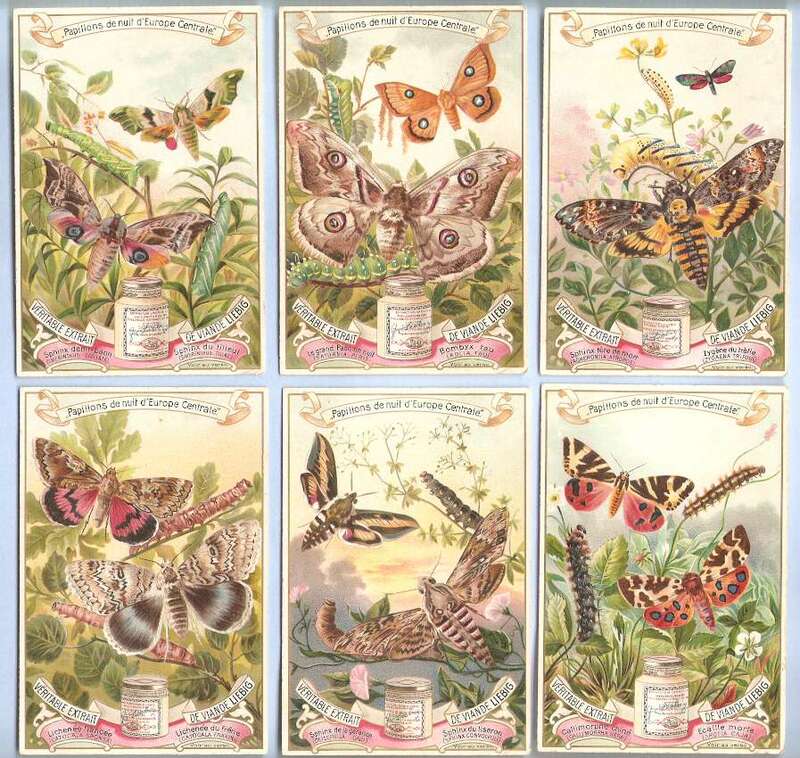 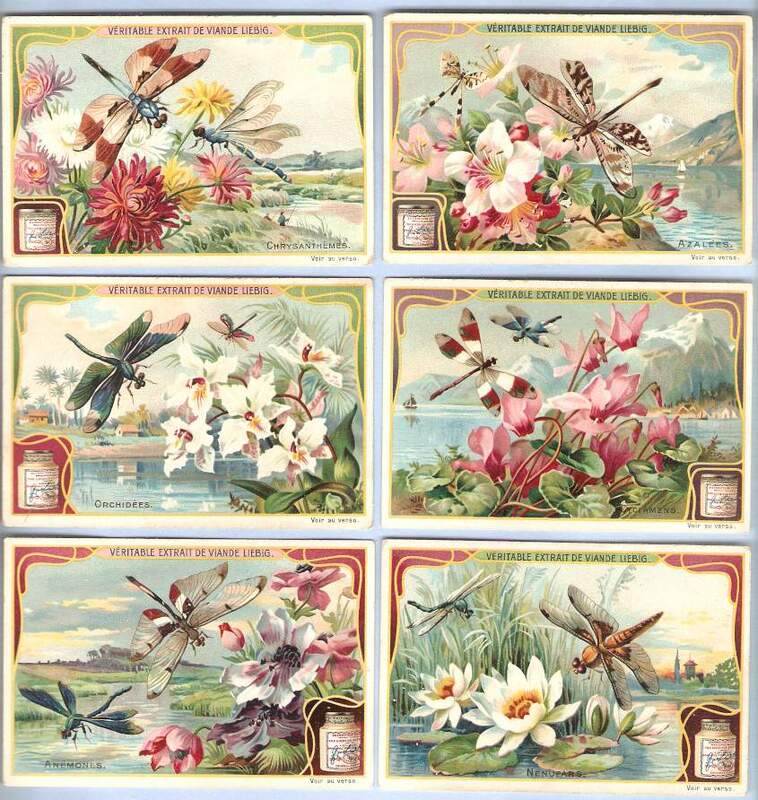 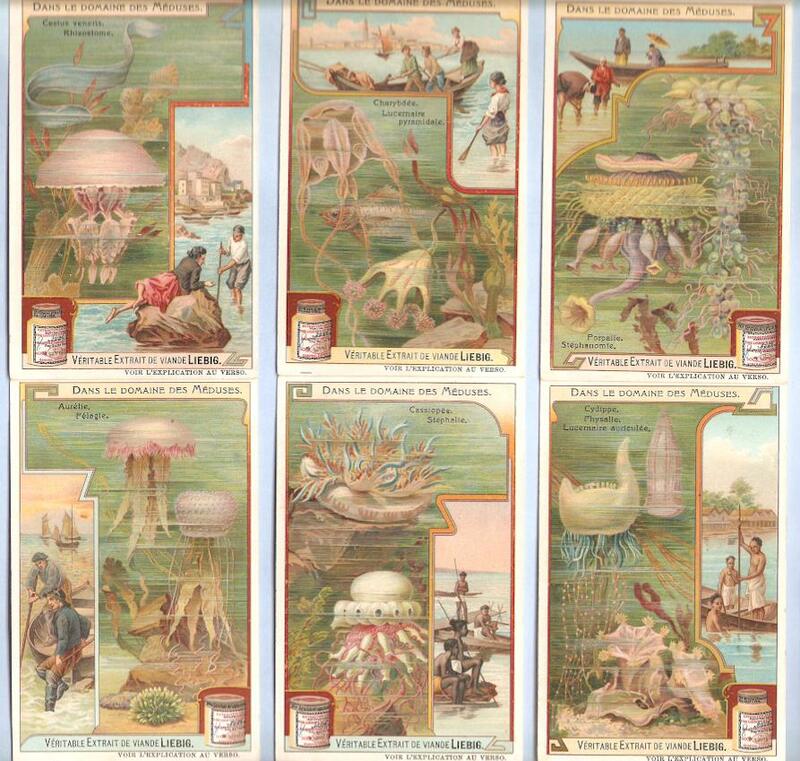 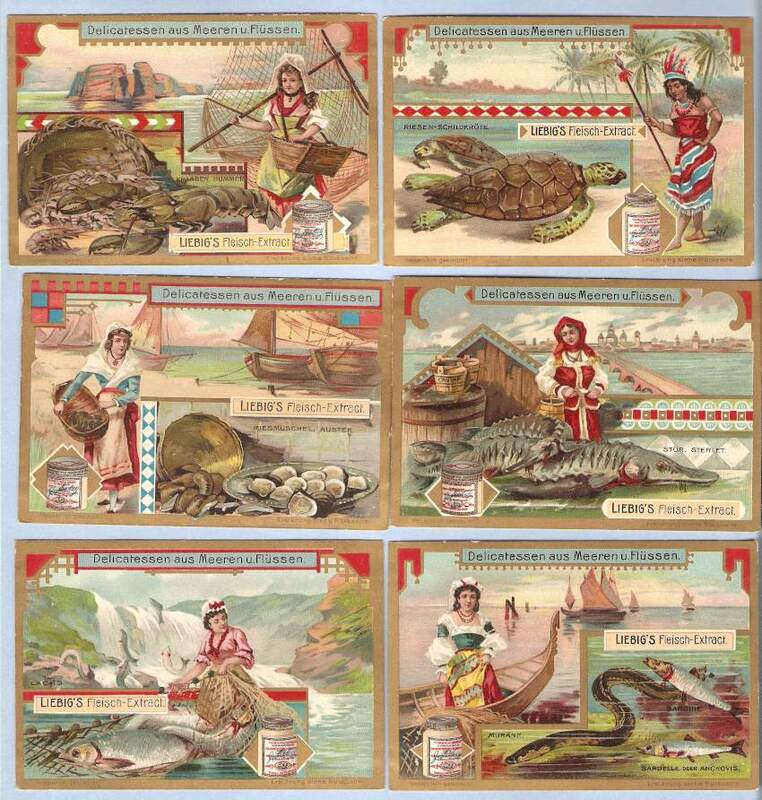 Liebig produced many illustrated advertising products: table cards, menucards, children games, free trade card sets, calendars, posters, posterstamps, paper and other toys. 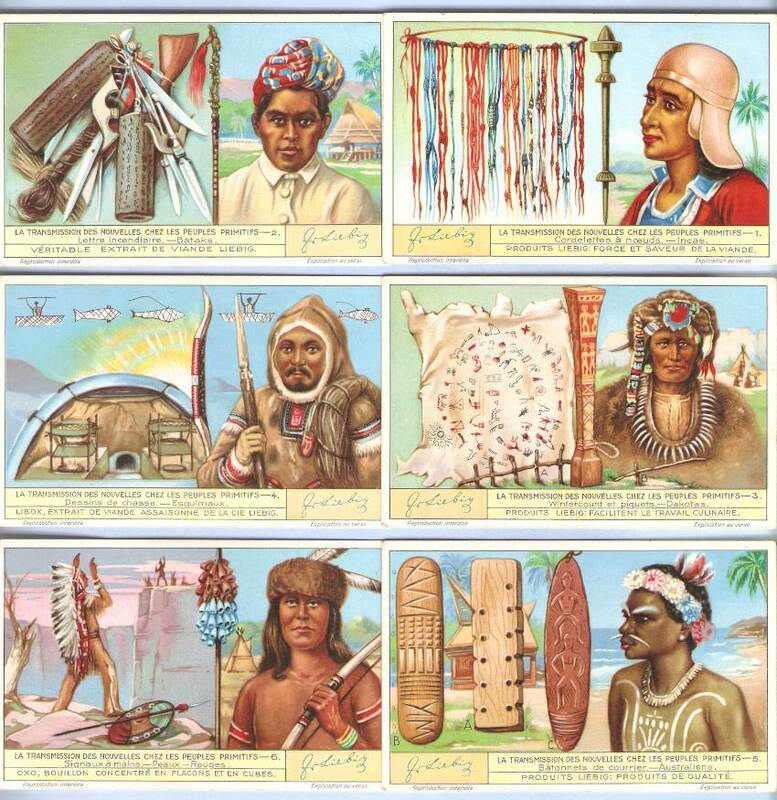 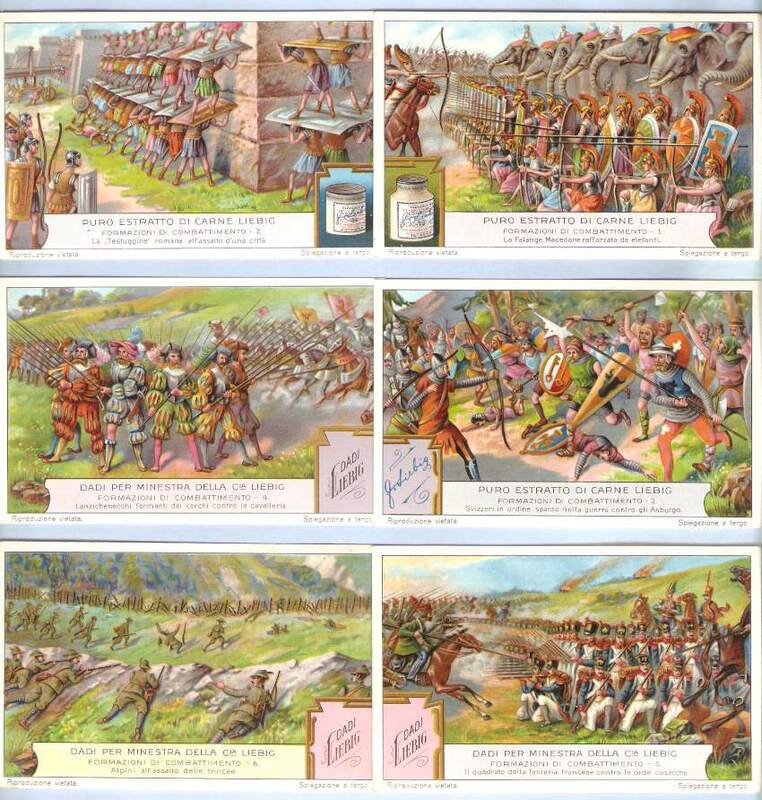 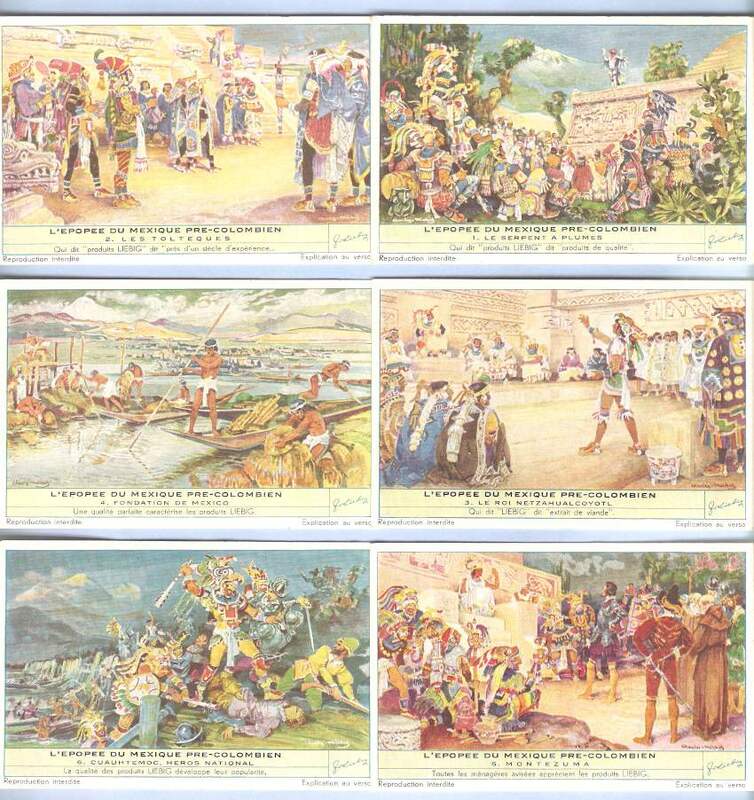 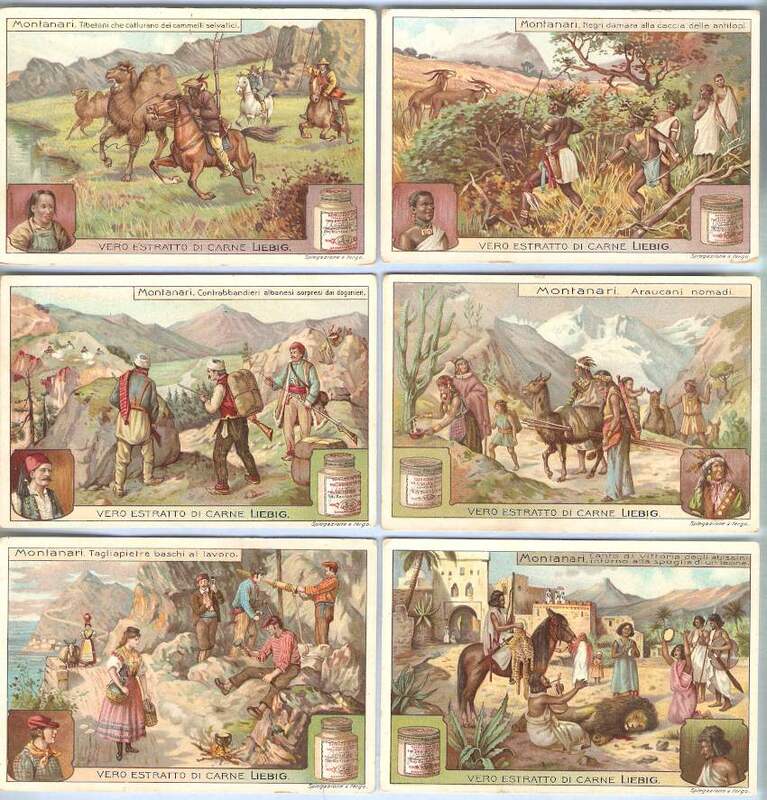 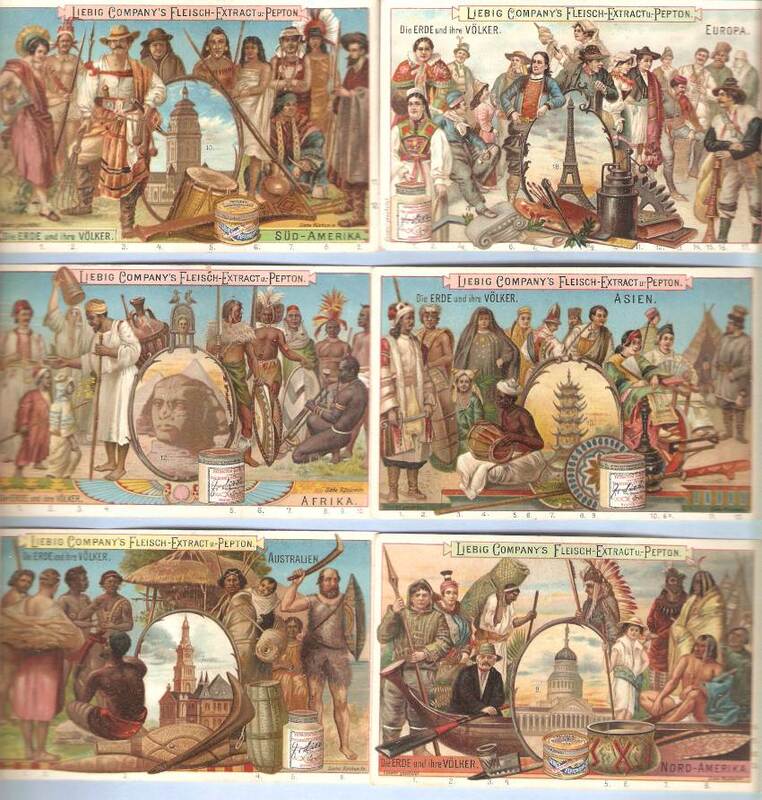 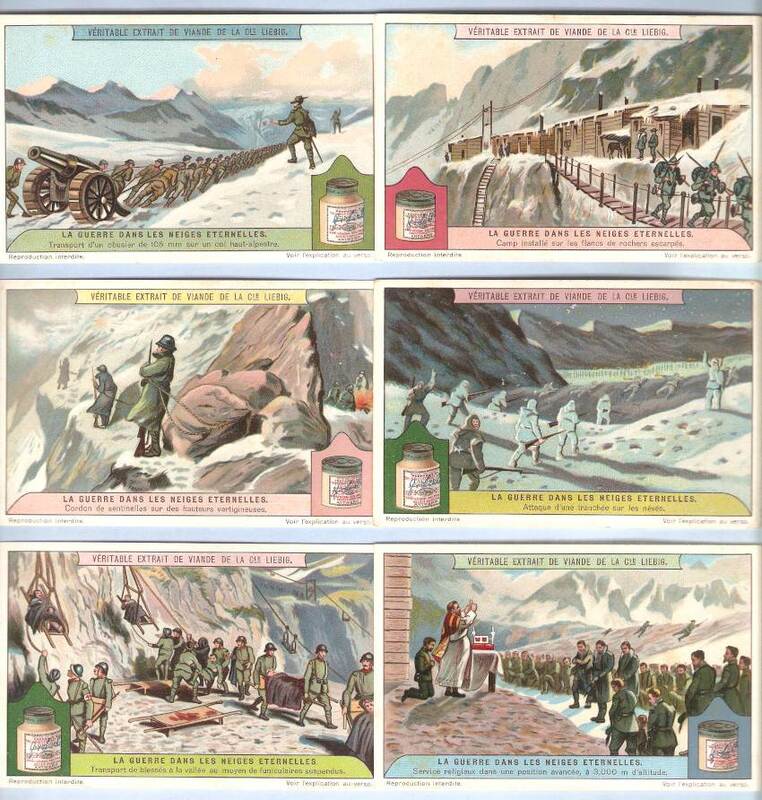 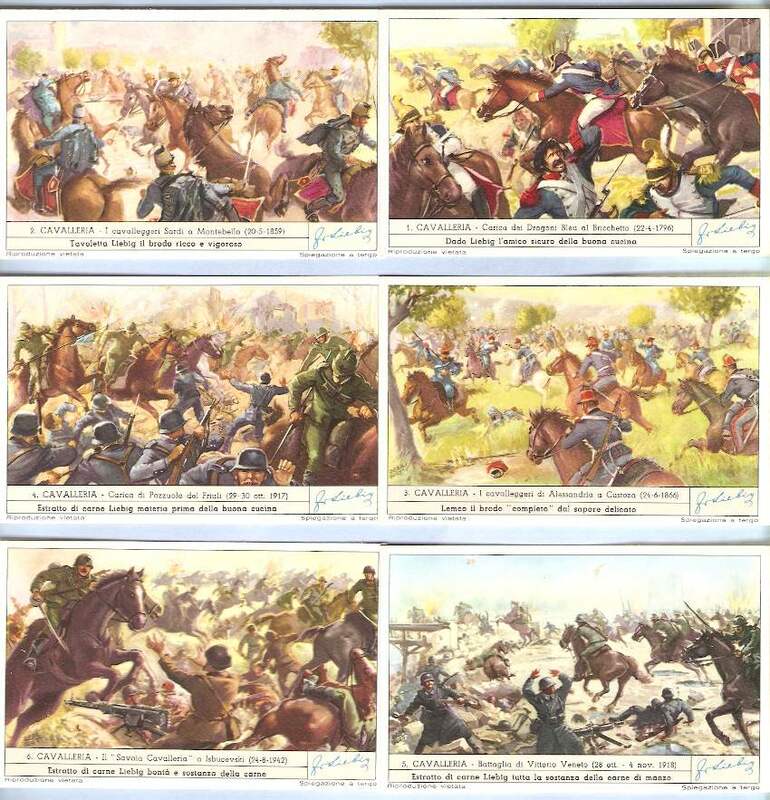 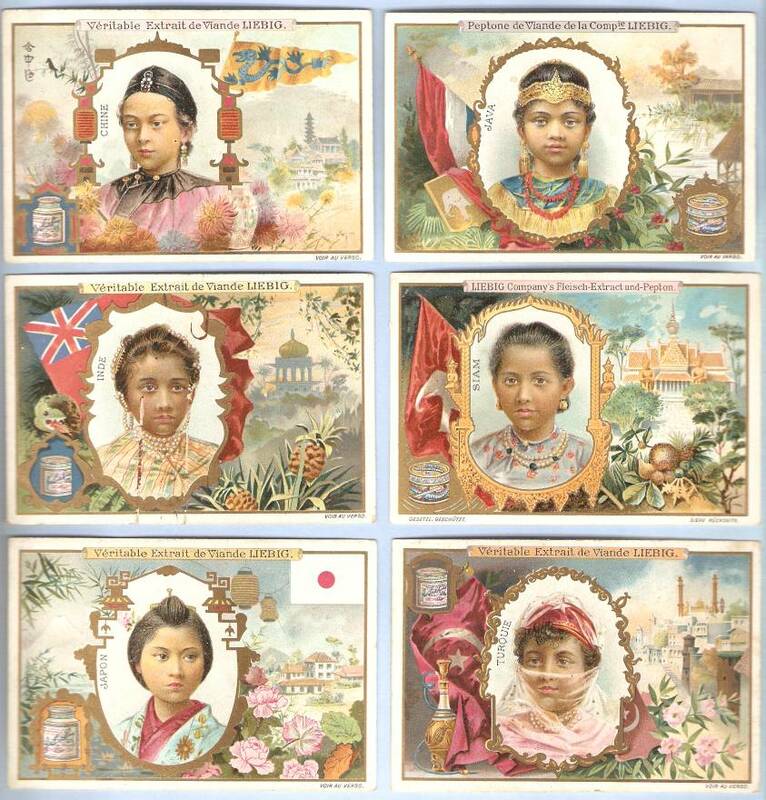 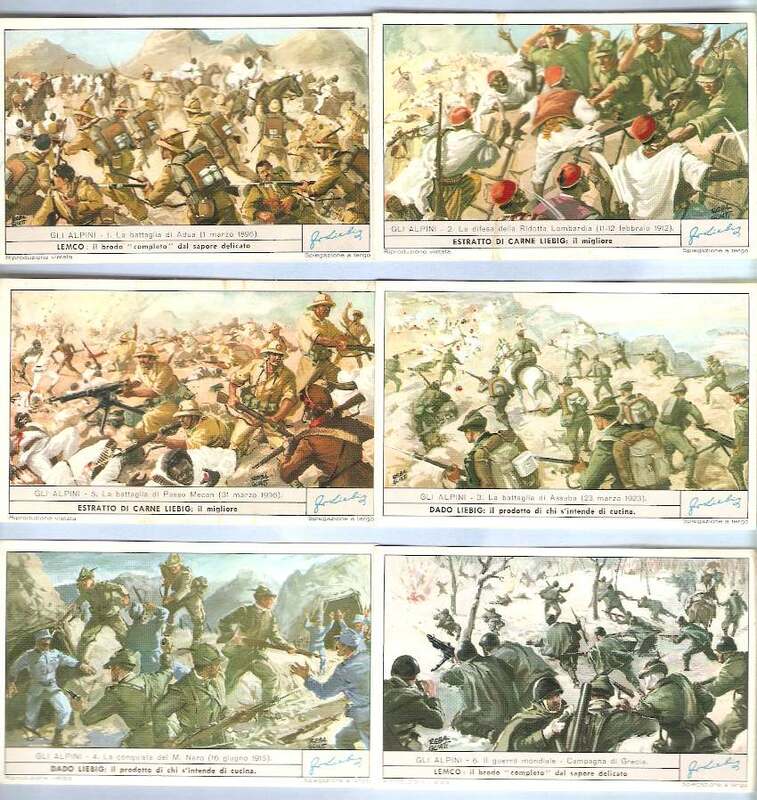 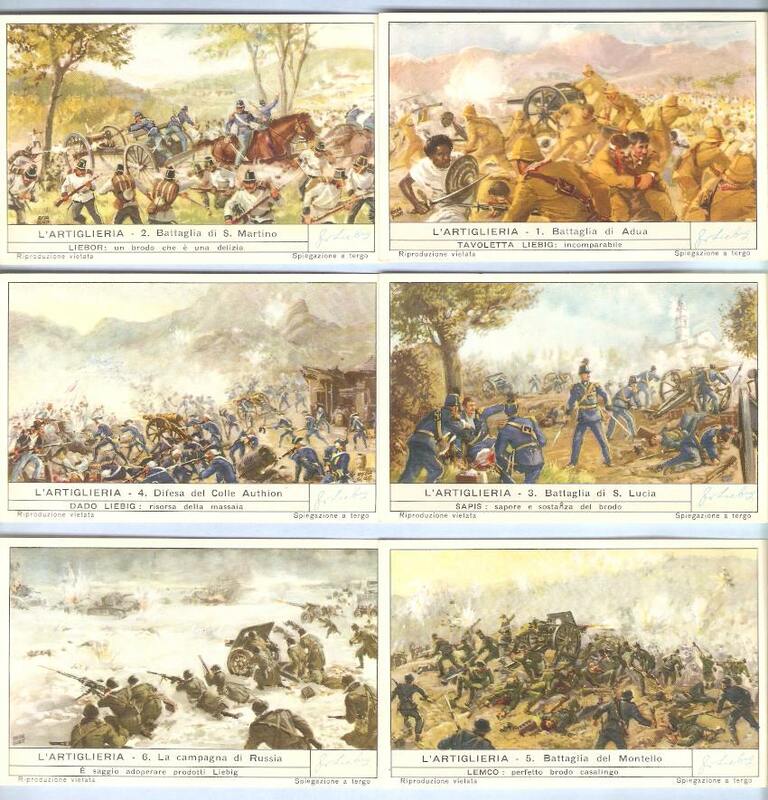 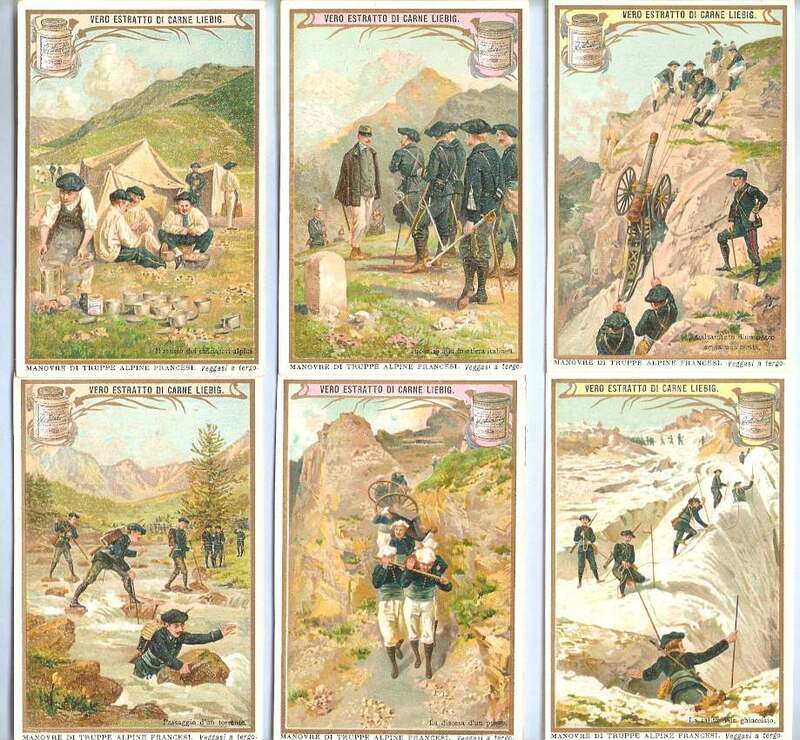 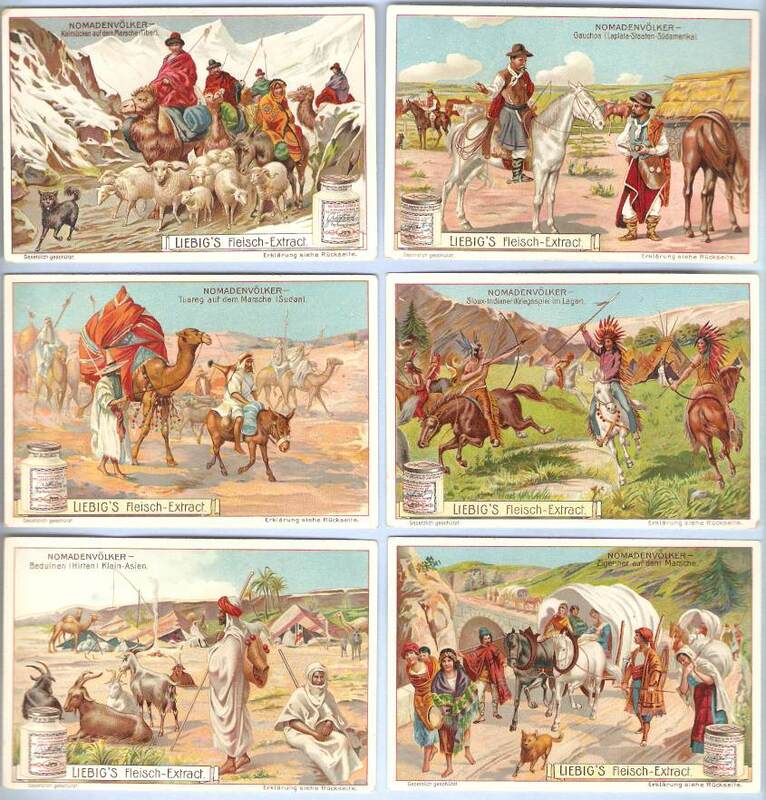 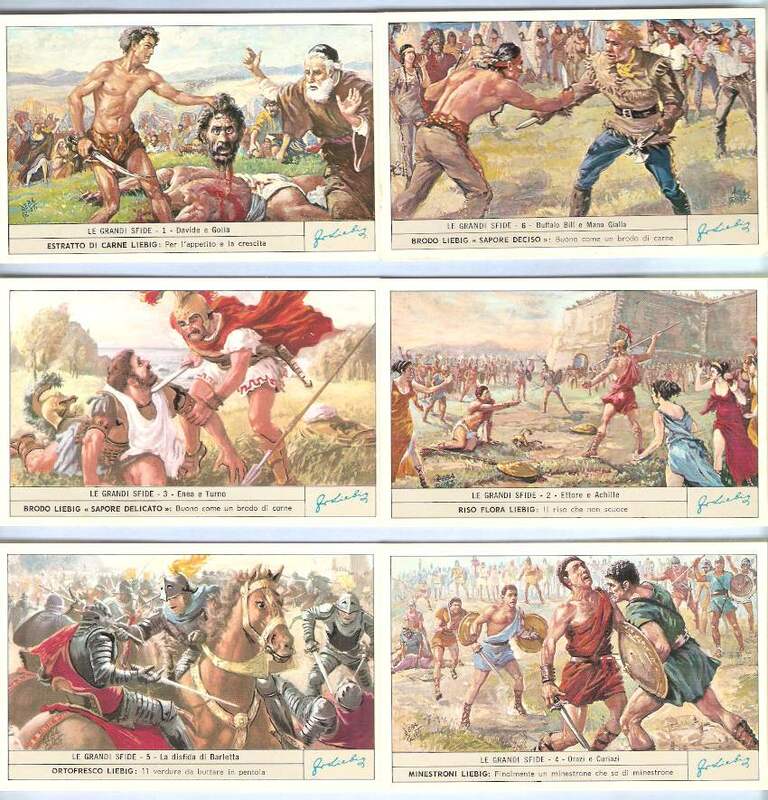 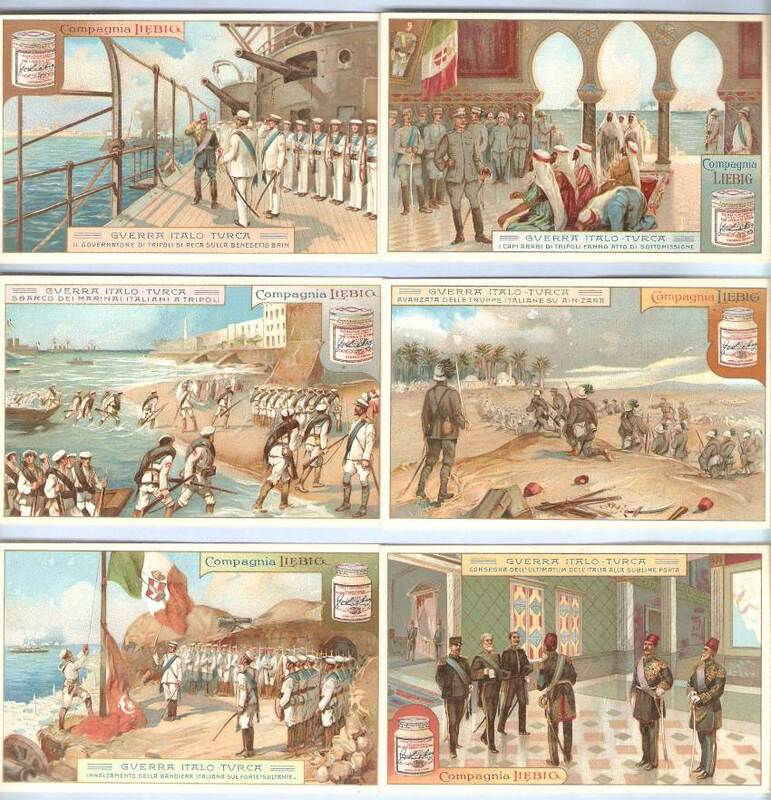 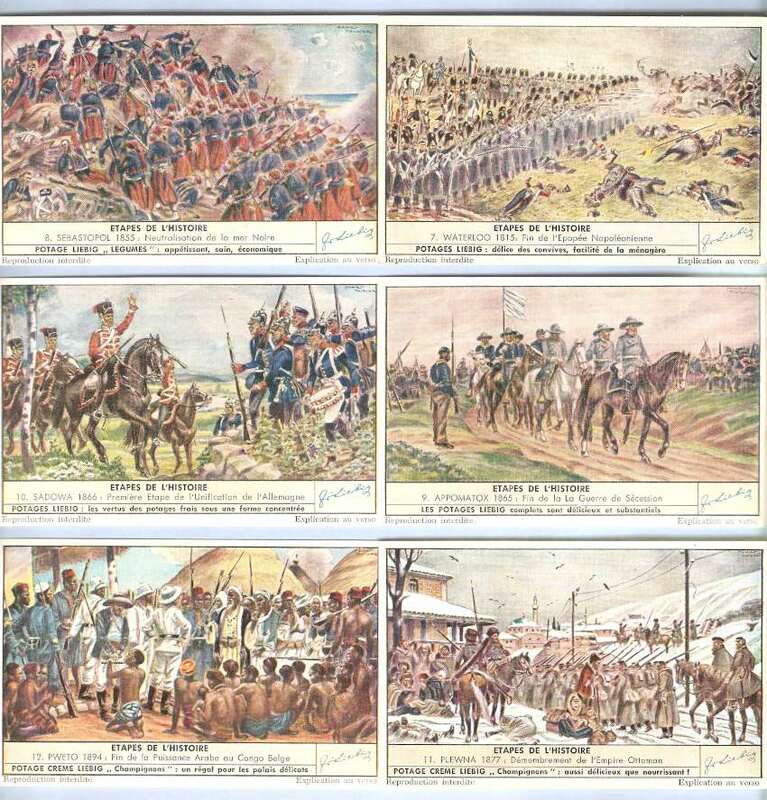 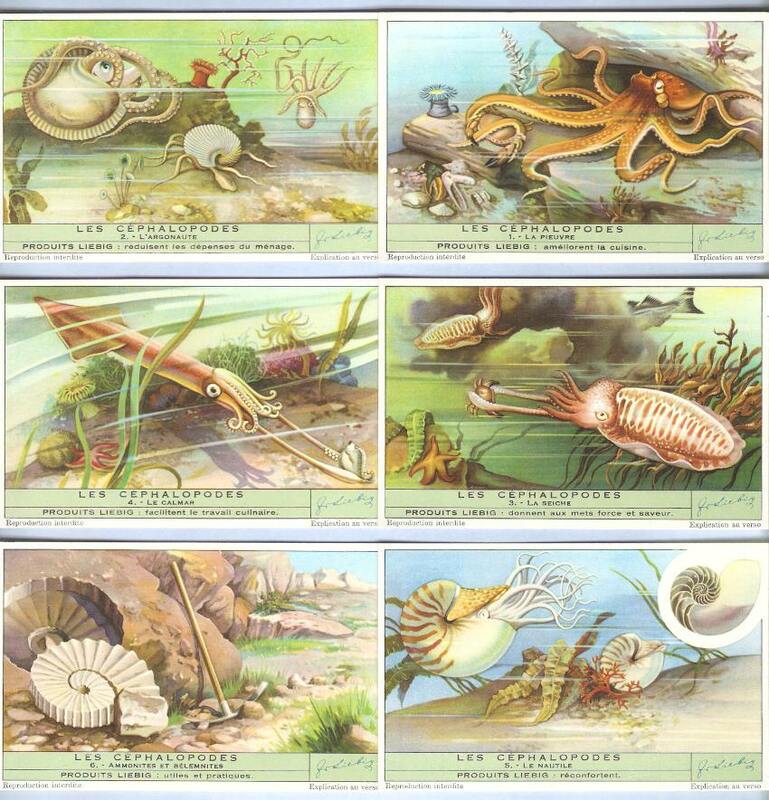 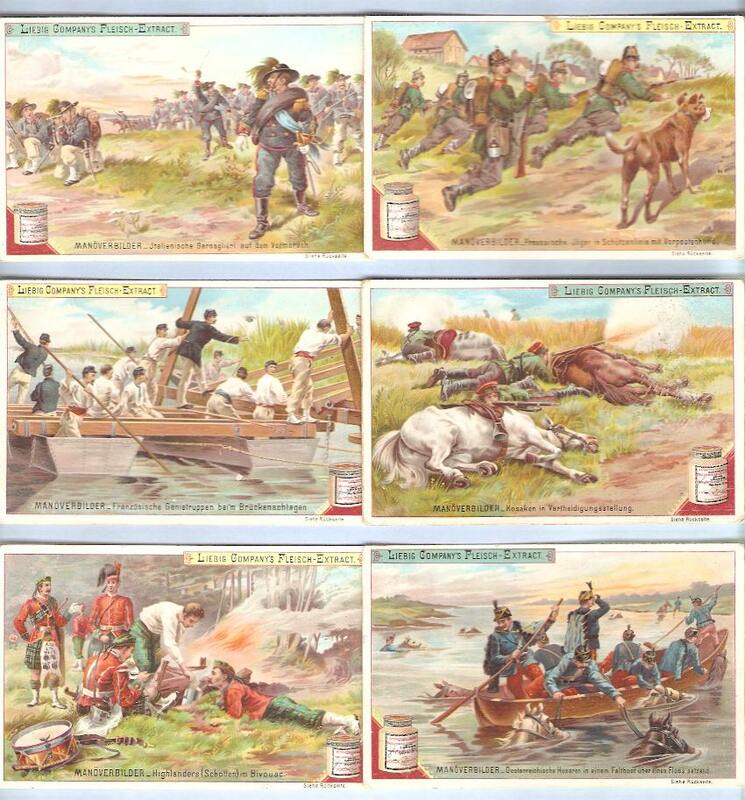 These were often in the form of trading card sets with stories, historical tidbits, geographic tidbits, and so on. 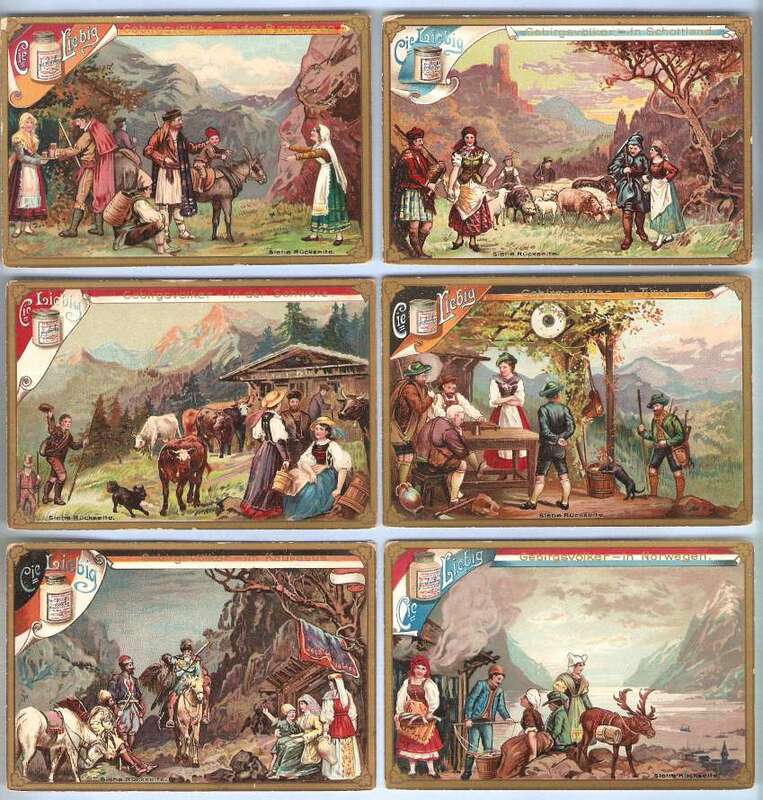 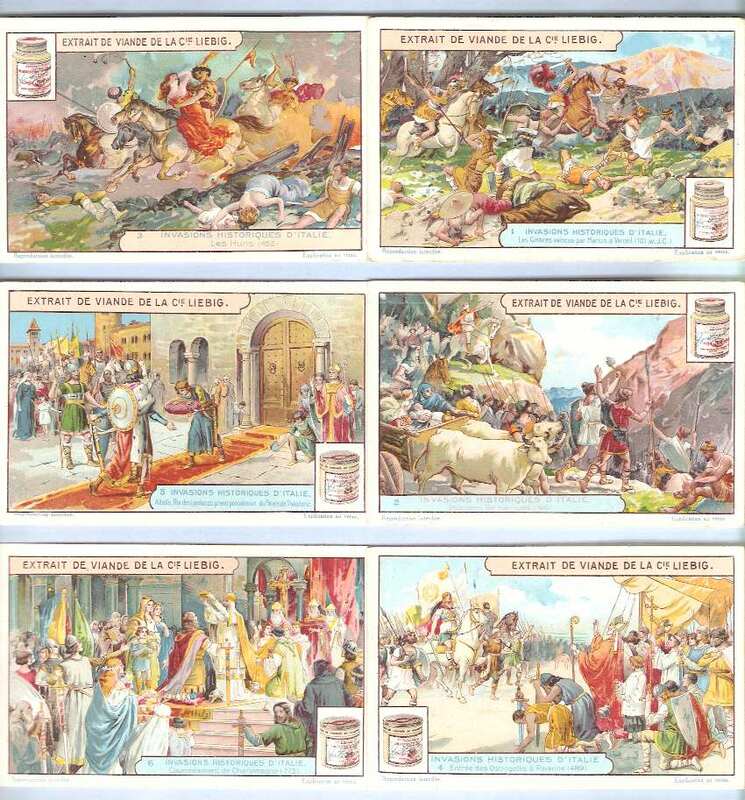 The sets usually consisted of six cards, one card included per product sale. 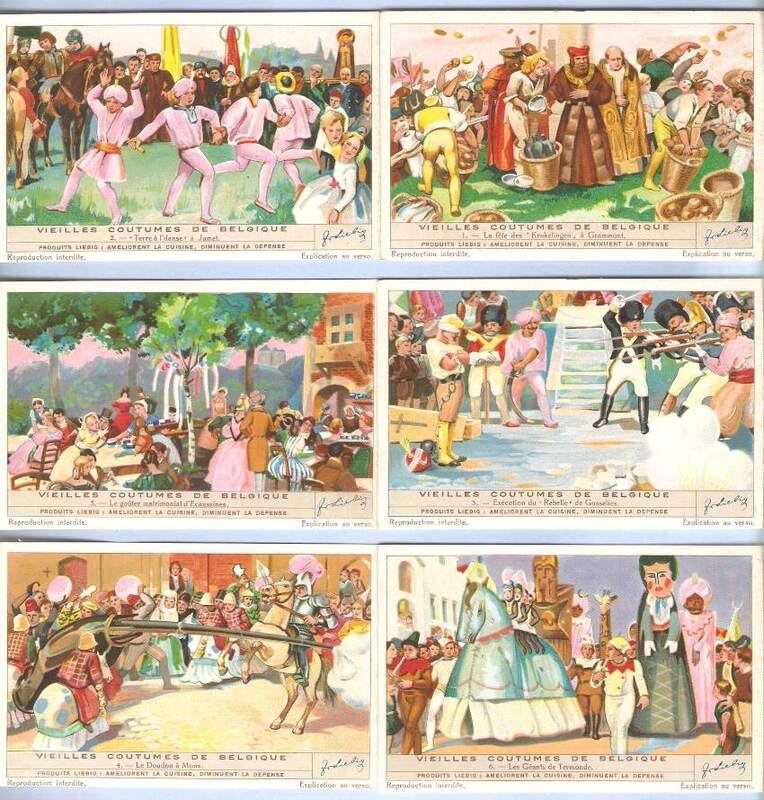 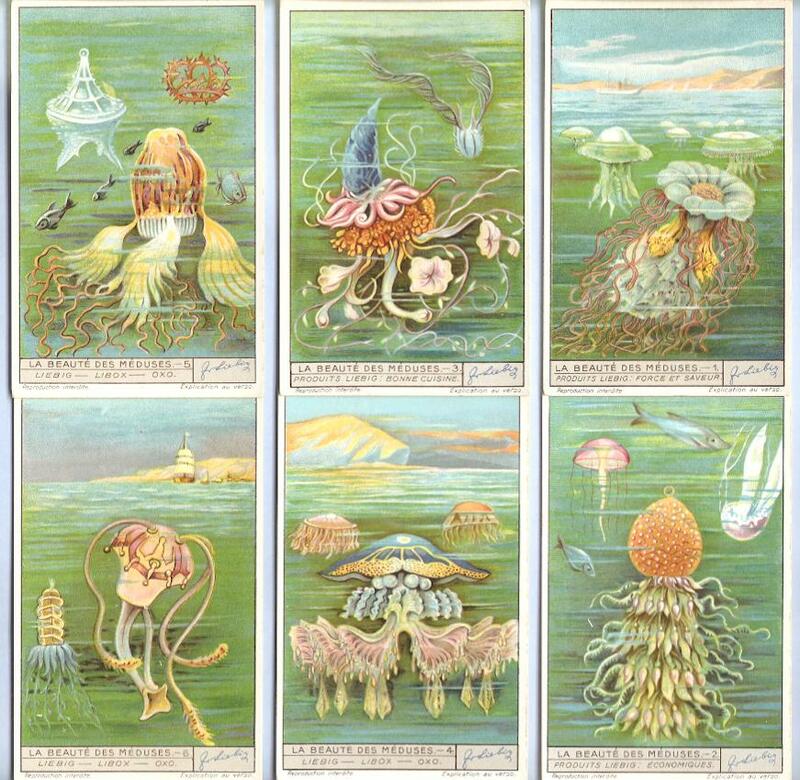 Many famous artists were contacted to design those series of cards, which were first produced using true lithography, then litho chromo, chromolithography and finally offset printing. 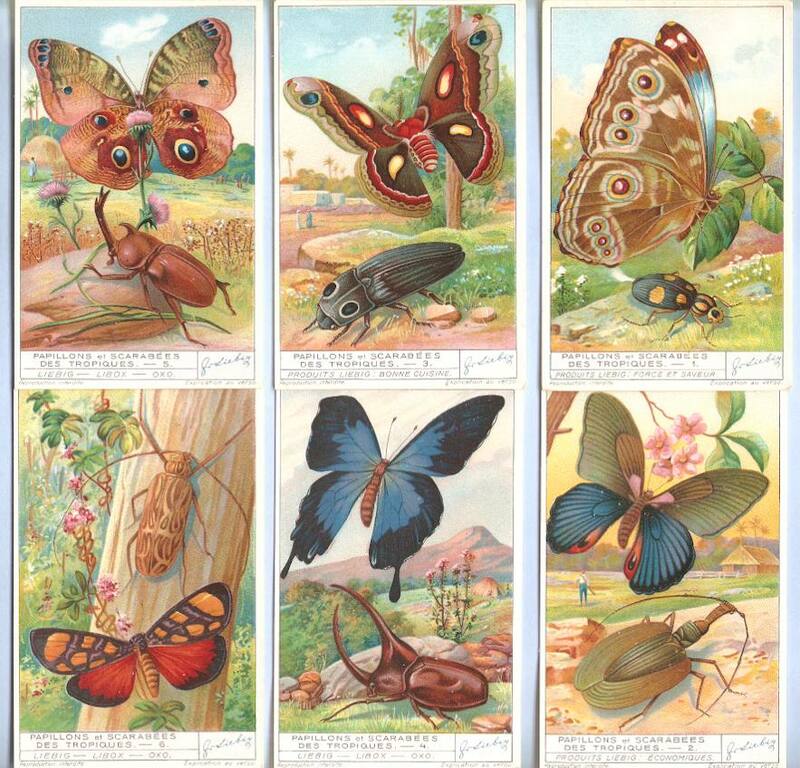 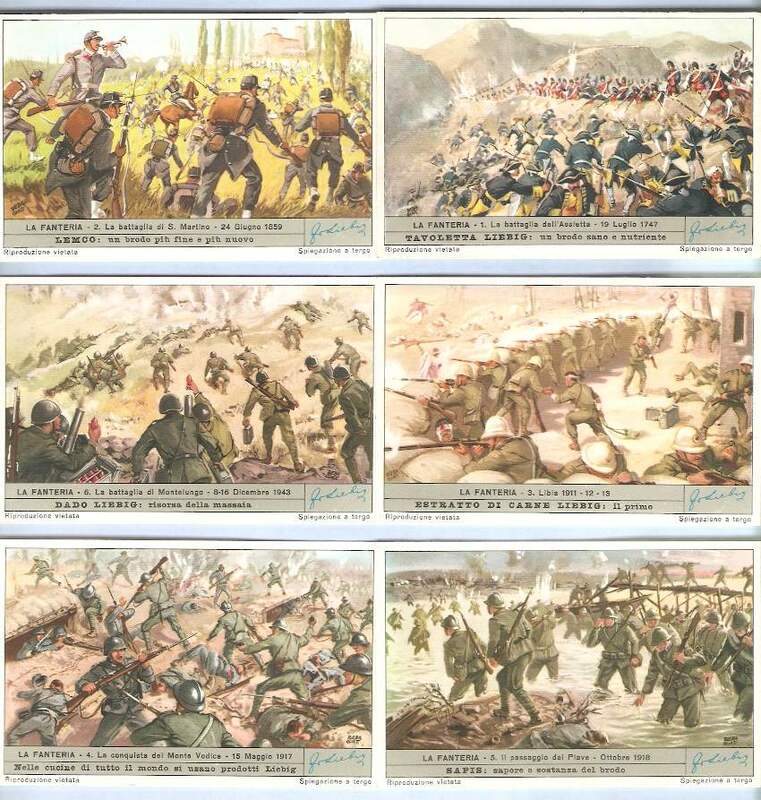 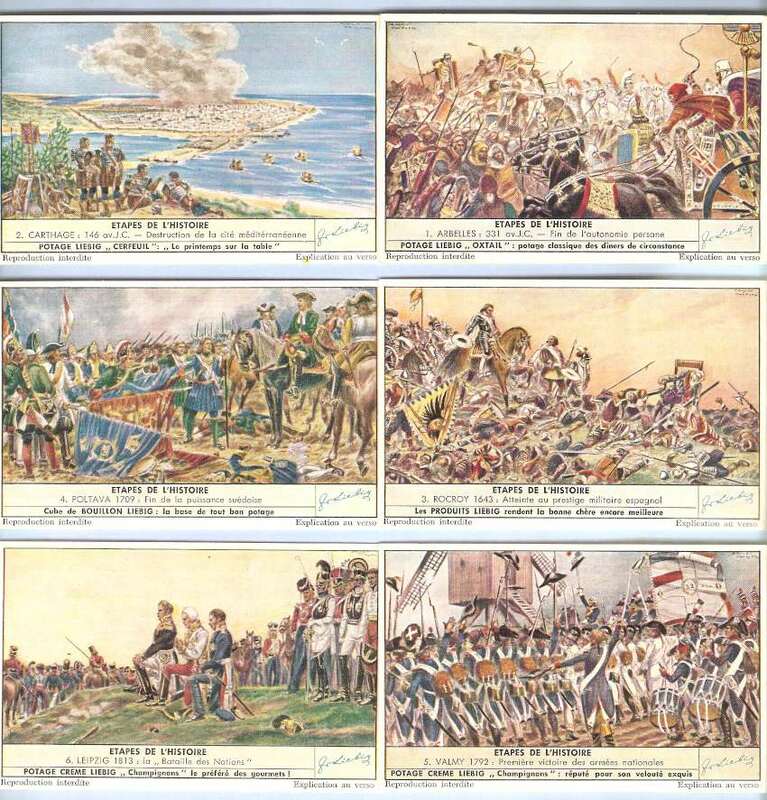 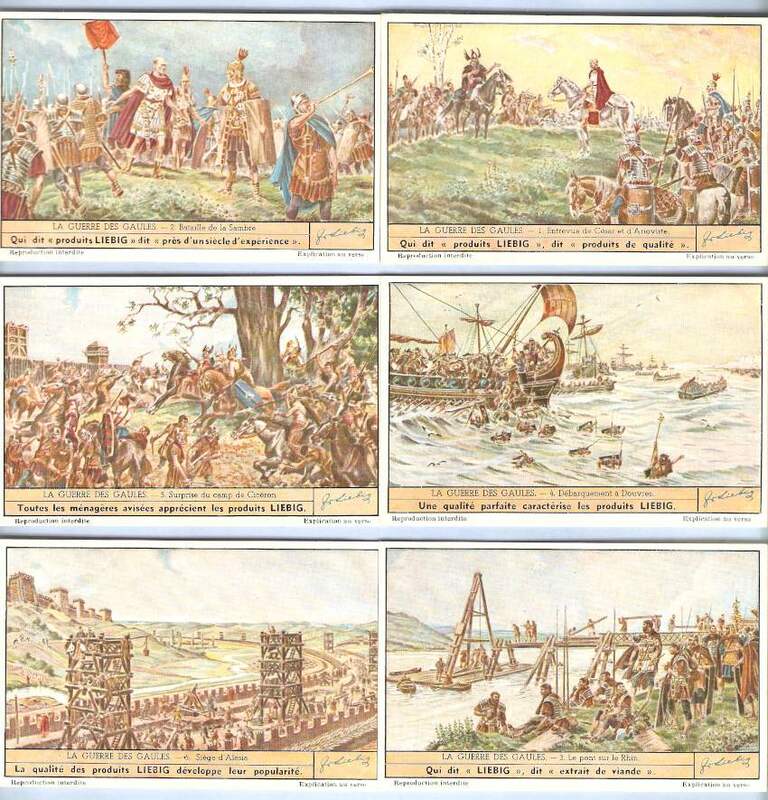 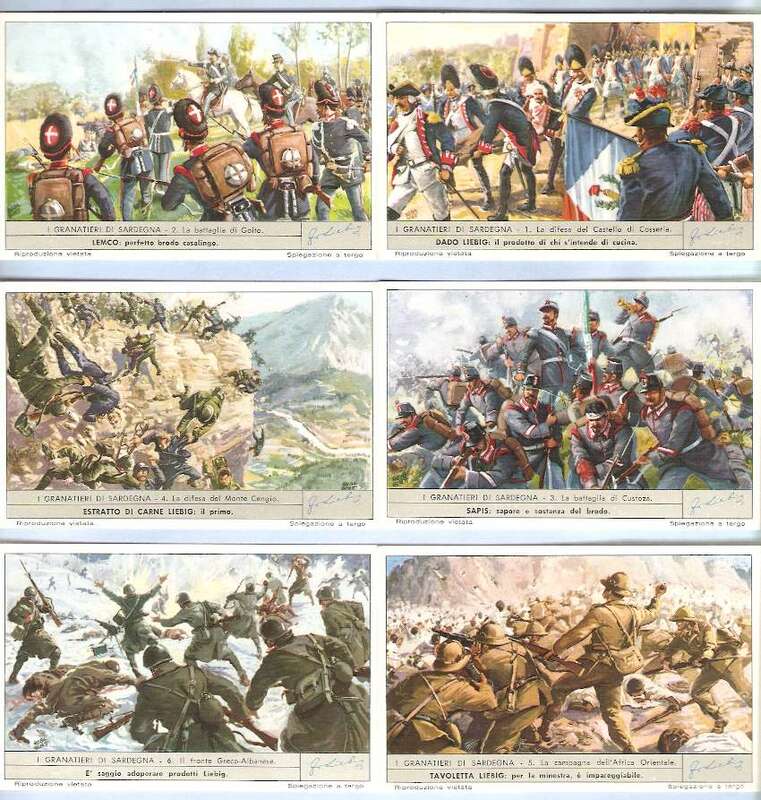 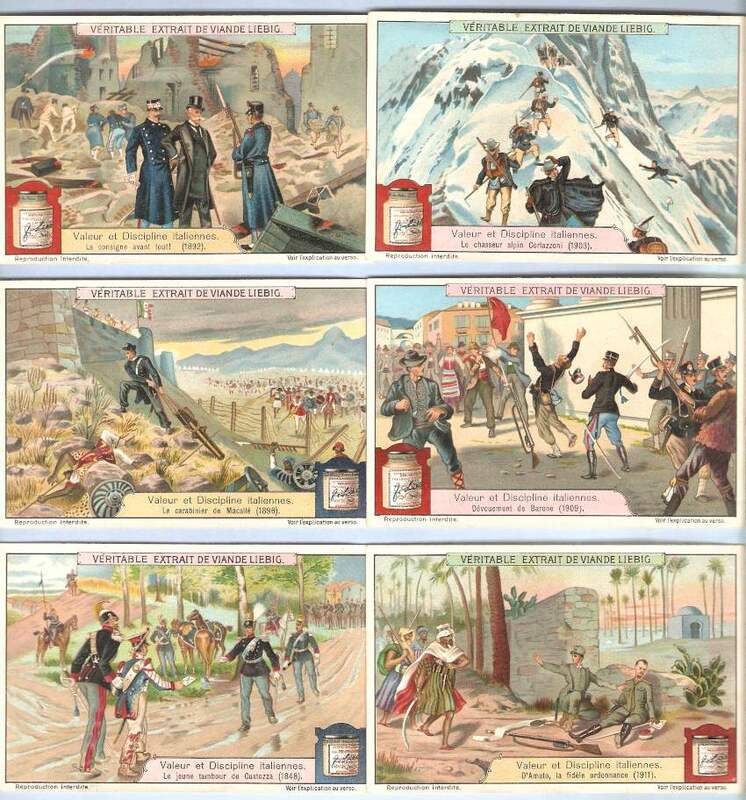 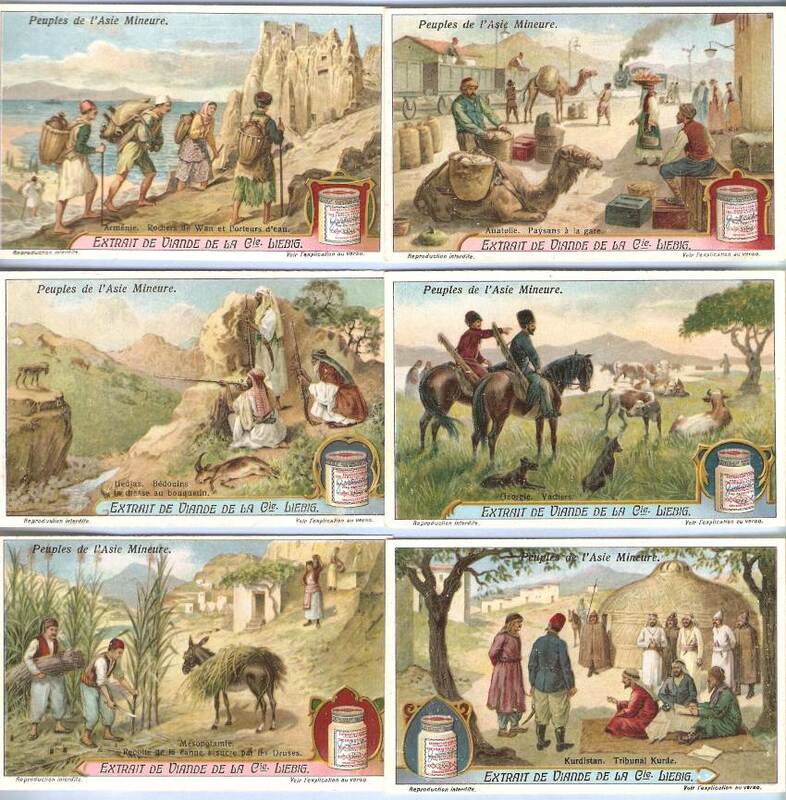 The cards remain popular with collectors and are often collected in albums.